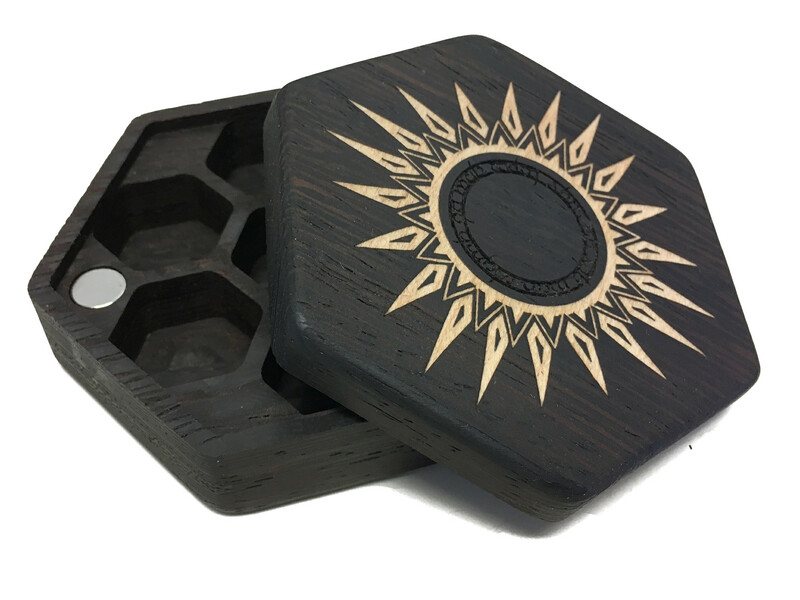 Our first ever limited edition dice box, the Elven Sun Hex Chest features dark, rich wenge wood with bright maple inlay. 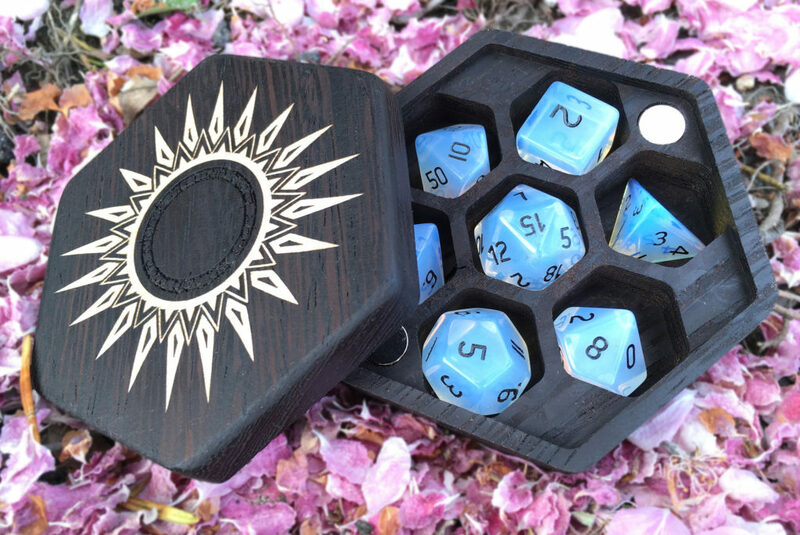 This edition is limited to 10 of these dice boxes, and each lid is leather lined and foil pressed with a collector’s number for posterity. Like the original Hex Chest, these dice boxes feature our Beehive interior design to keep your dice safe and sound. Each one seals shut with strong rare earth magnets and is delivered in it’s own velvet pouch.